- The streets of Yaoundé are rife with rumours about his planned resignation if technical errors were not corrected. I turned around, tapped him on the shoulder and pointed in Chief Justice AYAH Paul’s direction. “Is that not the ‘premier avocat general’?” I questioned. “…Il n’a pas encore rectifie le probleme hierarchie concernant ancien depute Ayah Paul…?” [My failure to translate this quote is deliberate]. This conversation vividly reminded me of the publication in the Kalara newspaper, arguing forcefully that juniors had been appointed over Ayah Paul illegally. I also remembered panel discussions on at least two private radio stations in Yaoude, coming to the same conclusion. All this of course tickled me to research into the Francophone /Anglophone positions in the Supreme Court of Cameroun. My finding to say the least were utterly nauseating. Truly, the Supreme Court of Cameroon is an institution where Anglophone marginalization is at the climax. Since reunification (a ‘reunion’ that ought to have brought together two peoples equal in status) some 54 years ago, no Anglophone has been judged qualified enough to occupy any of these positions. A certain Chief Justice Epuli Mathias once came close. But he only served as an Acting President of the Administrative Division (Président par interim de la Chambre Administrative). But Biya and his Francophone-Beti government hastened to write him off in that “C’est un anglo”. For the sake of space and time, we leave the analysis of the francophone /Anglophone composition of other divisions of the Supreme Court for another day. We propose only to underline for now President Biya’s blatant illegality (could it be an oversight?) on Dec. 18, 2014, in appointing judges to the Attorney General’s Office of the Supreme Court. The case of HRH Hon. Lord Justice AYAH Paul ABINE. The Attorney General’s Office (the Legal Department of the Supreme Court) to which Chief Justice AYAH Paul was appointed comprises the Attorney General (le Procureur Général), the 1st Deputy Attorney General (Premier Avocat Général), and other “avocats genereaux”. It is disgusting fantasy that AYAH Paul (who has reached the zenith of his career in the judiciary – haux hierarchie premier groupe) is only one of four avocats generaux, whereas George Mbengue, of Super Scaledeuxiemme groupe is 1st Deputy Attorney General, (Premier Avocat Général), over AYAH Paul. It is a sacrosanct matter of law, just like in the military, that a subordinate cannot be placed in a position of authority above someone higher than him on the echelon. President Biya’s appointment of Mr. George Mbengue, of Super Scaledeuxiemme groupe to boss Chief Justice Ayah Paul therefore desecrates the law, and constitutes not only an affront to Anglophones but an act of gross illegality. The question now is whether, as wild rumours are already circulating in the streets of Yaoundé, the no-nonsense Chief Justice Ayah Paul that we know, (who has ever been so allergic to unlawful acts in the past) is contemplating resigning if those “technical errors” are not corrected in the near future. Only time shall tell. Hon. Tawe Nicoline Ngwahni, Altenate Member of Parliament for Donga Mantung Division was laid to rest at Kup village in Nkambe Central. Thousands of SDF militants, sympathizers, friends and family members travelled to Kup on Saturday January 21, 2015 from far and near to pay their last homage to departed Christian and female politician. Here below are the memorable pictures of the farewell to Hon. Tawe Nicoline Ngwahni.. The Member of Parliament for Donga Mantung Centre Constituency, (Ndu) has donated tones of cements, bundles of zinc and pipe borne-water to communities in Ndu.Hon. Esther Ngala and her entoruage stromed Ntamru, Kakar, GS Tenteng, Mbakfu, Njipluh, Nseh Odoh, Njiptop, Ngabuh and Mbandfun where they were greeted by hundreds of enthusiastic beneficiaries. Addressing the beneficiaries in all the localities, the MP called on all and sundry to use the support for the purpose that they were intended. She also said that microgrants are to sponsore small projects that are very important but too little for government to see or sponsor. Those could not have the opportunity to make speeches, sang theirs in songs. There was euphoria and fanfare as the population exploded in joy through speeches. They described Hon Esther Ngala as a true hunter who has the people at heart. At the end of the tour, Hon Esther Ngala told this reporter that this is the first phase of her Parliamentary grants distribution. The second phase she revealed will begin soon as the Committee to select beneficiaries is still at work. Two weeks ago, wildfire guts over 12 houses in Dumbu village in Misaje Sub Division of Donga Mantung Division. The fire incident left the affected families homeless and most especially dashed the hope of over 20 students and pupils. Without shoes, dresses and books the kids were in distressed. In a humanitarian gesture to permit the students and pupils go back to school; Senator Wanlo Chemua John donated a sum of FCFA 200.000 to enable the kids have school uniforms, shoes and other basic needs. Dotta Ezekiel who carried out the assignment told this reporter that he was greeted on arrival by the Fon of Dumbu, notables and the victims when he announced and presented their packages. This is not the first time that Senator Wanlo is extending a hand of fellowship to Misaje sub Division. Some years ago when he was the Mayor of Fonfuka, he donated a power generator to the Government Bilingual High School Misaje. This support was to enable the school set up a science department. Historically, it is said that the people of Dumbu have ancestral connections with the Dumbu people. This also justifies the Senator could not be indiffernt to the sufferings of his brothers and sister. His timely supported has been greeted with alot of euphoria by the populace. Before Senator Wanlo’s donation, it should be recalled that Maah Isaac (political elite of the area) also donated exercise books for the 20 students and pupils to go back to school.It is also aired that Mr. Gwei also visited the victims. Classified sources say Dr. Fuh Calistus Gentry; Secretary of State for Mines, Industries and Technological Development is also mobilizing to make another significant donation by March 24, 2015 during a solemn ceremony in Misaje. Tongues are still waging in Balikumbat sub Division over the unpleasant scenario that transpired at the grandstand between the Sub Divisional Officer, Ngwa Martin and the Mayor, Wasum Augustine. Service heads, councilors, traditional rulers, students and pupils who took the paints to attend the 49th edition of the National Youth Day celebration at the Balikumbat grandstand are still murmuring the public confrontation between the Divisional Officer and the Mayor. It is alleged that the long accumulated anger between Mayor of Balikumbat council Wasum Augustine and the DO exploded on that day when the mayor took the microphone to announce that his council had donated FCFA 200.000 as prizes for schools. The Divisional Officer, who could not swallow the move, stood up and seized the microphone. To the total dismay on onlookers, the tussle lasted for more than 5 minutes to the point that the DO’s cap fell off. There was commotion and allegedly some students and pupils left the ceremonial ground in a mad rush. Angered by the confrontation, the DO also left the ceremonial ground unceremoniously. Allegedly, the Divisional Officer had wanted that the money is disbursed to him and the mayor did not. The mayor on the contrary decided to hand over the prizes personally due to the fact that he was disappointed with the manner that the prizes were distributed last year. Yet, the mayor is also accused to be arrogant and snobbish in manners. A school of thought holds that it was improper for the mayor to challenge the decision of the DO while another school holds that it serves the DO right. "What example for these youths", a head of service names witheld vomited after watching the drama. The SDF Secretary General has resigned. The jockeying for the abandoned position can not begin in earnest. Professor Kofele-Kale's reaction to Professor Elizabeth TAMAJONG’S Resignation as SDF Secretary General may not be as innocent as it seems. Be that as it may, Prof Kale should beware lest Mr John 8:2 him for stating that Fru Ndi is now Der Fuhrer Prinzip. Herewith Profesor Kale's reaction. I am saddened and troubled by Mrs. Tamajong’s resignation from the post of Secretary General of the Social Democratic Front (SDF) for it does not bode well at all for the SDF. Resigning from such a pivotal post after occupying it for so many years speaks volumes of the ills that plague the SDF party. The Secretary General of the SDF is not some pedestrian member nor an adventurer out for thrills but a veritable pillar in the party’s edifice. Truth be told, I expected this resignation at the close of the last Bamenda convention, so for me it comes two and a half years late. As Mrs. Tamajong points out in her letter of resignation, it was at that gathering of over 1,500 party delegates that the SDF chieftain, in re-appointing her to the exalted post of Party Secretary General, chose that particular moment and that specific platform to belittle and humiliate his most important lieutenant. But not just any lieutenant but the very one selected by the Chairman himself! I thought it was one humiliation too many and unless brought to a halt will continue, for her and others. So, I was expecting Mrs. Tamajong to resign then but she did not, wisely choosing her time. I congratulate her for her forbearance and tenacity in the face of the multiple humiliations she has had to endure over the years, as detailed in her resignation letter. Professor Tamajong’s letter was a deeply moving and powerful document that should compel anyone who reads it and who cares about the SDF, even a little bit, to pause and reflect on the future of this once great political organization. Her letter also pushed me to recall Madame Chantal Kambiwa's "Breaking the Silence" (attached hereto) which raised some of the same issues mentioned in Tamajong’s letter, more especially, the misogynistic leadership that pilots the affairs of the SDF and which treats its female members and officials as nothing more than decorating plants! Professor Tamajong’s resignation letter also caused me to re-read my reaction to the 2006 Yoyo/Mbah Ndam/Tandap proposals to amend the SDF Constitution which was published in the Post Newspaper (attached hereto). I predicted then that if adopted at the Convention, far from improving the SDF those proposed “reforms” would instead turn the party into a caricature of its once noble self. I invited my comrades to reject those amendments in their entirety at the 2006 Convention because they were designed to dilute the visionary, transformative and reformist values that the party’s Founding Fathers set out to incarnate in their progeny. I feared that the restructuring of the party structures envisaged in the “Yoyo/Mbah Ndam Constitution” would install a version of Der Fuhrer Prinzip that would end up spawning a personality cult around Chairman John Fru Ndi. Few listened then but it has come to pass! The National Executive Committee has lost one more committed and dedicated party official and, as a party, our leadership structure is now one less valiant and incorruptible female member; the endangered species in this organization. How I wish I could play the clairvoyant and predict that Mrs. Tamajong’s resignation would be the last! On behalf of the Cameroonian people, I wish you a warm welcome and pleasant stay in Yaoundé. I would like to heartily thank you for attending this summit. Just as you desired, this summit is devoted to attacks on some of our countries by the Boko Haram terrorist sect. Your presence here testifies to the solidarity within our Organization. Above all, it also reflects our determination to implement the various decisions we have already taken against Boko Haram, a movement which, as you are aware, rebuffs the values of human life. It uses methods of blind and ruthless terrorism. Its atrocities have already claimed thousands of lives – Muslims for the most part – and caused extensive property damage in Nigeria and in neighbouring countries. Chad, Niger and Cameroon, and of course Nigeria, are currently at the front line, so to say. Their armed forces are bravely waging battle… Needless to point out that their battle is also the battle of our entire Organization. I would like to pay fraternal tribute to President Idriss DEBY. With the support of the Chadian people and as a sign of solidarity, he took the courageous decision to send a large contingent of Chadian soldiers to reinforce our troops. Their bravery is well known and has been demonstrated in the latest battles. Furthermore, Cameroon commends the decision taken by the African Union at end-January 2015. 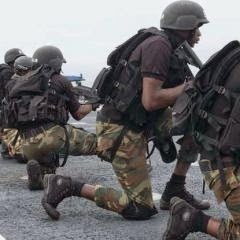 As you know, the African Union’s Council for Peace and Security in Central Africa, at its meeting of Heads of State and Government, authorized the deployment of a 7 500-man strong Mixed Multinational Force. It also decided to convene an experts’ meeting in Yaounde from 5 to 7 February 2015 to specify the operational concept of this force. The meeting conducted an in-depth situation analysis and prepared the mandate of the Mixed Multinational Force. The African Union’s decision also paves the way for referral to the Security Council with a view to adopting a resolution. Permit me to point out, once again, that this is in no way whatsoever, a “crusade” against Islam or an episode in some kind of “clash of civilizations”. The reality is simple. On one side, there are our forces, defenders of a modern and tolerant society which guarantees the exercise of human rights, including that of religion, as well as representative democracy. On the other side, namely Boko Haram and similar movements, there are partisans of an obscurantist and tyrannical society which has no consideration for human dignity. You would agree with me that these two models of society are absolutely incompatible and, hence, compromise is absolutely impossible. Therefore, we need to put an end to the actions and activities of terrorist movements. We need to eradicate Boko Haram. By so doing, we would be able to reassure our populations and better focus on the only worthwhile struggle: the struggle against poverty and for the dignity of Africans. If leadership qualities were to be measured by impact, our leader of the month Raymond Dinga Gwanyalla would have done appealingly fine on the hinges of that weighing machine given that he has proven his worth in very many domains. And if leadership as they say is a career committed to solving societal problems, Raymond Gwanyalla is for that reason a gigantic problem solver. And he has been fairly rewarded for his leadership skills both as mayor of Bali Council and President of BOBA where he was voted by acclamation to build the future of emerging leaders. But since nature demands that everyone who exudes excellence in the line of duty deserves a pat on the back or some prizes for making the difference, Raymond Gwanyalla has enjoyed some good romance with glittering accolades for his leadership qualities. 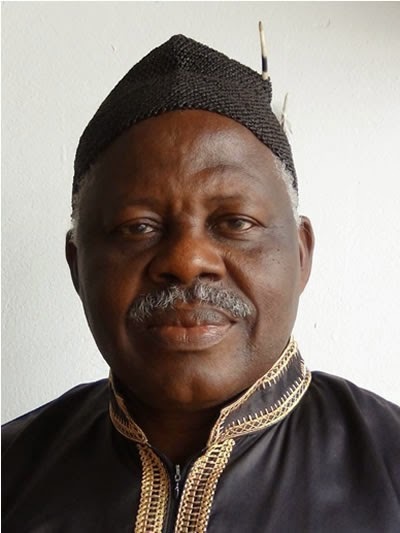 In the North West Region of Cameroon, one of the leaders who have built his great influence to excellently empower a new generation of leaders is Gwanyalla. He is one that always takes the lead and receives the support of others. People have a lot of trust in him for his honesty and spirit of accountability. His influence is inspiring change all over North West Region. Born and raised in a typical Christian family, he grows up to be a high flying academic achiever. His Alma matter CPC Bali has remained in his heart for ever. Last January 17, 2015 he was re-elected by acclamation at the BOBA Elective General Assembly. This is so because where Gwanyalla had taken the lead, there evidences have been glaring that he is one of those who run of the wheel of positive change for society to prosper, an audacity of integrity whose passion reflects his desire to see sustainable development being put into practice. CPC Bali is likely to be the first secondary school in the North West Region where students and teachers will say bye-bye to blackboard and chalk and say welcome to laptops and book notes. Thanks to the dynamism of Gwanyalla, BOBAN has been transformed into exemplary enterprising venture. The BOBA warehouse in Douala is a model example. Gwanyalla’s confidence has always given him a place in different leadership capacities, increasing his favourable influence at every favourable occasion and putting forth innovative ideas into concrete actions. The renovation of the CPC library, pavement in campus, the biogas project and water supply scheme are amongst the realizations of Gwanyalla at the helm of BOBA. Ba Nkom Raymond Gwanyalla is an accomplished leader, philanthropist, devout Christian, family man and pragmatic politician. His outstanding leadership skills have won him several awards; including the prestigious title of Ba Nkom (the highest title for nobles in the Bali Fondom). Besides, he was also voted, Best Mayor, Best Politician, Most Result-oriented mayor etc by readers of frontline Anglophone newspapers such as Chronicle, The Guardian Post, and Cameroon Post International etc. Ba Nkom Gwanyalla’s leadership skills are many and varied. This strong and resilient man loves what he does; his influential drive for development, education has made him the most active man of all men in action. The way he promotes humanitarian activities, social welfare and the social cohesion distinguishes him as one of the silent achievers in Cameroon who is changing lives. When two or more are gathered to talk development, he is always present. Meet him to talk about politics and you would not regret to have met a refined politician. And politics has played a very important role in his life-shaping mission to his community. When he retired at the head of the Costumes Department, he returned to Bali and engaged into politics. 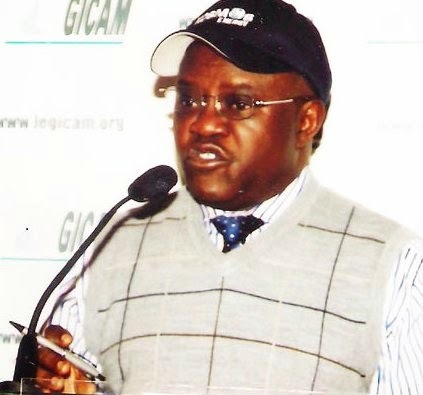 He was honoured as the head of the council list for the CPDM in the 2007 Twin Elections. His list won and he was elected mayor. As mayor, Ba Nkom Gwanyalla left an indelible mark of greatness and a catalogue of achievements. He targeted and solved the water crisis in Bali and he solved them with dexterity. He embarked on the opening of farms to market roads, construction of classroom in areas where there were none, and at the end of his mandate, he stepped down democratically from the position of mayor. Bali youths would never forget the scholarships he offered to promote excellence in schools to youths ranging from Nursery through Secondary, High Schools, Universities and professional schools. Popular opinion in Bali sees him as the next section President. Yet Ba Nkom Raymond Gwanyalla is yet to declare his intentions. The people Call may likely usher him to take over the management of the CPDM in Bali given that without him, the CPDM may be naught. In the domain of business, he is a successful businessman who like Fafre in the Mayor of Casterbridge is blended with the gifted charm that everything he touches grows. The Chief Executive Officer of Cargo Management Services is not a man to pigeon hole with. Through this structure he has been able to demystify transactions at the Douala Port. It is his greatness and savoir-faire that CAMAStransit is a household name in Cameroon. At CAMAS he has employed hundreds of youths to work for his company CAMAS. He was born to a father who was a court clerk and a housewife mother. That is to say Ba Nkom Gwanyalla was not born with a silver spoon in his mouth, yet he was not equally born into abject poverty. His parents understood the significance of schooling and enrolled him early in Primary School in Momo Division in 1964 where he later moved to P.S Azire to obtained his FSLC in flying colours and got admitted into CPC Bali. After CPC Bali, Ba Nkom Gwanyalla was recruited into the Costumes. Yet he continued learning while working. He then moved out of Cameroon to Sierra Leone where he enrolled in the University of Furrabe. After graduation, Raymond Gwanyalla being a patriot refused all work positions abroad and returned to Cameroon. Back home he decided to fine-tune his knowledge of customs. He entered the Advanced School of Administration and Magistracy, ENAM in 1972 where he graduated as Custom Inspector. Proof of this is that he started as a customs clerk and because of his hard work and commitment; he gradually rose through all the rungs of the professional ladder to the coveted and prestigious position of Director of Customs. His appointment by the powers that be was in recognition of his contribution to the growth of the customs department and the economy of Cameroon through revenue collection and the stamping out of corruption. A President Paul Biya’s loyalist of the first order, Raymond Gwanyalla does all in his powers to support the ideals of the New Deal government. He has always told his people of Bali that the CPDM is a large enough umbrella to shelter everybody and there was no need for some of his people to keep on standing under the rain of the opposition. He has converted many militants from the opposition into the CPDM through his practical politics of development and not sterile promises. To say that the municipality of Bali has witnessed great changes is to use to weakest idiom to describe the great silent achievements of Ba Nkom Raymond Gwayalla. To say Bali has grown in leaps and bounds under Ba Nkom Raymond Gwanyalla as mayor worthwhile. When he was elected mayor of the Bali Council, there was no befitting council hall. Today, the Bali town hall is one of the best in the region. As mayors he has graded old roads and opened up new ones. He has electrified villages and established water schemes in almost all the villages that had none. The Bali market today is of modern standards thanks to the assistance Ba Nkom Gwanyalla got from FEICOM to build the market. Before he solicited assistance from FEICOM, the Bali market was an eye sore as it had dilapidated. According to information recently published in the social media and other news outlets, the Police Inspector, Abdoulaye Farikou who fraudulently issued Cameroonian national identity cards to some members of Boko Haram has been napped. Abdoulaye Farikou according information gathered issued over 2,500 Cameroonian national identity cards to members of Boko Haram. He helped 2,500 fighters of the Nigerian sect to impersonate as Cameroonians or to reside to Cameroon. The Police Inspector Abdoulaye Farikou was arrested by the forces of rapid intervention battalion (Bir), and was transferred to Yaoundé, on the instructions of the Procureur for Maroua, where he will be tried by the military court. Abdoulaye will be judged by the Anti Terrorism Act recently passed by parliament, which punishes with death penalty terrorist accomplices.